OralSmile Dental Clinic Tavira specialises in orthodontics. 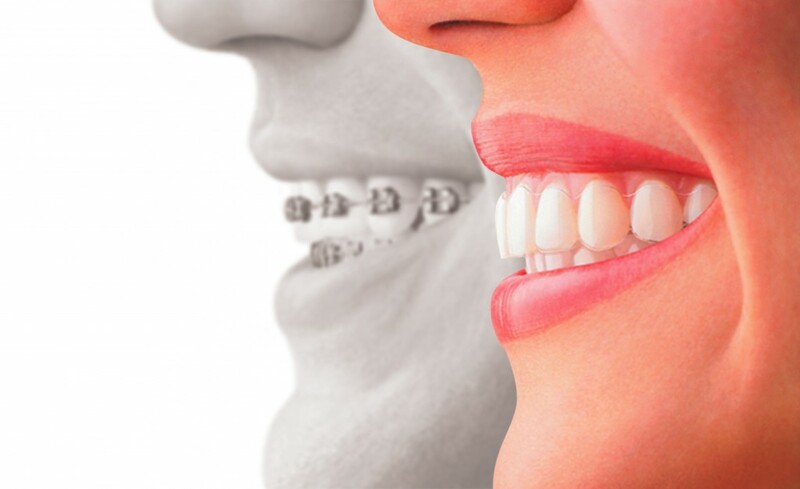 Orthodontics is the branch of dentistry that corrects the position of teeth and jaws positioned improperly. Crooked teeth or teeth that do not fit properly are more likely to be lost early due to decay and periodontal disease as it is difficult to apply proper oral hygiene. Problems of this type cause additional stress to the chewing muscles which can lead to headaches, TMJ syndrome, and pain in the neck, shoulders and back. Orthodontic treatment makes the teeth healthier and adjusts the appearance to provide a pleasing smile and healthier teeth. It is recommended for all children to have an orthodontic consultation before seven years of age to assess whether or not there is a need for early treatment. Benefits include healthier teeth, and aesthetic improvement of the face and smile, which is important for self-esteem. Correct alignment of the teeth, facilitating better cleaning and reduction of the risk of caries. Good chewing function, healthy joints and muscle with clear benefits in terms of health and general well-being. Causes of the orthodontic problems can be inherited, environmental, or a combination of both. Is there an age limit for performing an orthodontic treatment? No. Any patient with orthodontic problems that has not been treated in childhood can benefit from orthodontic treatment in adulthood. Who can perform an orthodontic treatment? Any dentist can perform orthodontic treatments however; there are medical specialist orthodontic dentists that have increased skills to perform such therapy. There are a wide variety of mobile and fixed devices specially designed to move the teeth and jaws into the desired position. Generally speaking an appliance will not cause pain. However, there may be some discomfort, after the appliance is placed or adjusted. How long does an orthodontic treatment? It varies depending on the deformation type and complexity of the treatment to be carried out. However, a treatment lasts on average 24 months. Can I play sports with the device? Yes, but gum shields and protective headwear should be used depending on the sport. The device interferes when I play a musical instrument? It takes time to adapt, but with time and practice there should be no interference to normal playing of wind and brass instruments. My teeth have been crooked for many years. Why should I wear braces now? It is never too late! Healthy teeth can be realigned at any age. Orthodontic treatment can restore proper function and a beautiful and healthy smile can improve self-esteem at any age. I am pregnant and want to start an orthodontic treatment. Is there any problem? Pregnancy brings changes in the body that can affect the mouth. The soft tissues such as the gums become more susceptible to infections. Discuss this with your doctor and your orthodontist before starting orthodontic treatment. Do teeth with braces need extra care? Yes. The patients should be careful to avoid difficult food that requires hard chewing such as sticky toffees, and tough food. Patients should also be careful of chewing pencils and pens and the like. Keeping teeth and braces clean requires precision and time and has to be done every day. This will ensure healthy teeth and gums during and after orthodontic treatment. Clean and healthy teeth will also realign faster. I have seen advertising that claims to correct teeth in just one or two visits to the dentist. Can you perform this service? Crowns can be applied to cover crooked teeth quickly but this is a temporary measure. Teeth straightened by an orthodontist / dentist last a lifetime. I do not want a device that can be seen. What are my options? In some cases the device can be pasted inside the mouth behind the teeth (lingual braces).Some of the arches used today are “state of the art” exerting pressure precisely and gently on the teeth so that the process is as fast and as comfortable as possible. There are translucent appliances in development while there are plastic options instead of the traditional metal appliance. I have a tongue piercing. Will this interfere with my orthodontic treatment? A tongue piercing may contribute to teeth fracture and other damage to teeth and gums.